Same as "Superfunky". "F.U." is taken from the October 27, 1989 show at the New Ritz in NYC. This was an Australian only release ("Joker" label JOK-016-A). 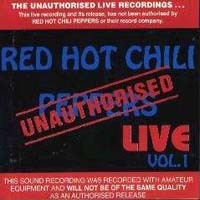 This compilation was officially released in 1993/1994, but was withdrawn from sale in 1995 after a lengthy court battle. Thanks to Dominik for the infos.